Description: Grant has guided the South Slope of The Uintas and various parts of Utah for the last 15 yrs. He enjoys many different styles of flies and the methods of fishing them. Helping new anglers get into the sport/art is something that he takes great satisfaction and pleasure in. Grant lives in Provo w/his loving and supportive wife, Holly, and their two beautiful children. 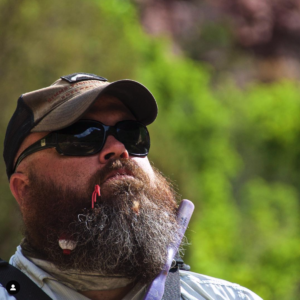 South Slope-Come to learn the ins n’ outs about South Slope waters, tactics, methods, and best times of year to maximize your enjoyment and experience.